Excitement surrounds the brand new and innovative Delta handle launching this month as the second handle to be released from the new, bespoke STAR range of door hardware, following the release of the Alpha handle earlier in July. The STAR range is designed in house and manufactured exclusively for the Southern Star Group, showcasing the result of research, design and commitment to pioneering the industry. 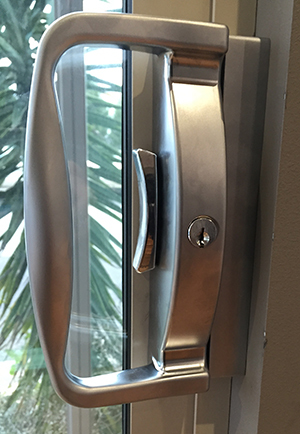 A feature of the Delta, together with all handles in the STAR range, is its secure, twin- beak lock, which is now offered as standard. In addition, and also as standard, the Delta features a C4 key pin cylinder which allows it to be keyed alike to any lock by a locksmith, offering the extra convenience of having to use only one key around the home. The Delta handle’s uniqueness is emphasised by its stunning finish; being offered in satin chrome as standard.